How could the last post have been 11 April? That really that is a long time and I’m glad to be back. After the works last year I was determined to have more flowers in the garden this year and to make the most of what was already there. 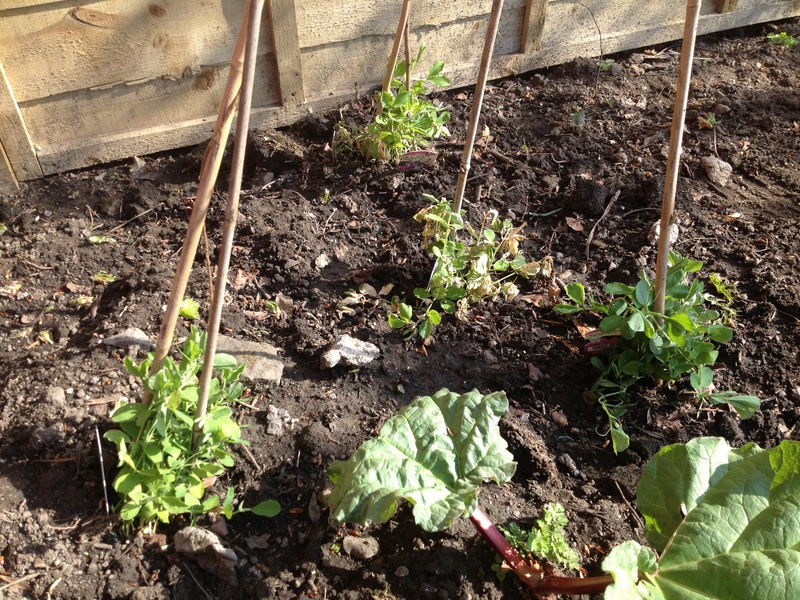 Up at the back right was a bit of garden that Dad had as his wee veg patch and he had bravely planted some asparagus. I waited and waited for it to come and show some spiky presence for 2 years but nothing at all happened, all that did happen was lots of weeds and the little plastic label with ‘asparagus’ in Dad’s distinctive hand writing was hidden amongst them. I have kept the label but I did give up all hope of asparagus ever growing. A flower patch was my vision and here’s how it is going so far. All the seeds are in the ground, invisibly doing their stuff. 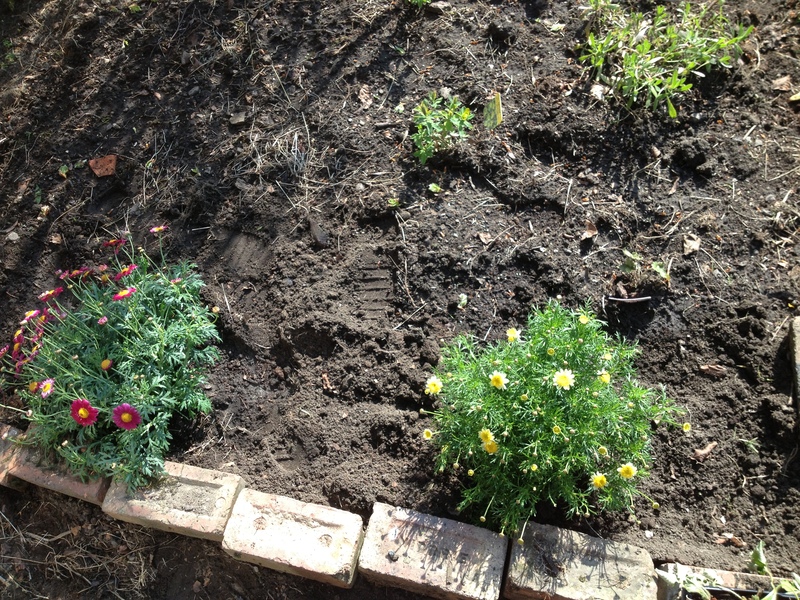 In the spring I planted 2 daisy type plants which were super cheap from Ikea, 2 Euphorbia and lots and lots of seeds. Sweet Peas were planted at the bottom of a very rickety home made cane pyramid effort. At the time it felt like nothing would ever fill that space and that I would need to wait forever. The sweet peas took a really long time to do anything but now they are huge and starting to flower. I have picked every single flower so they look rather boring now. I’ll get a photo once more flowers are out. I think this all planted at the beginning of April, probably about the time I did my last post. 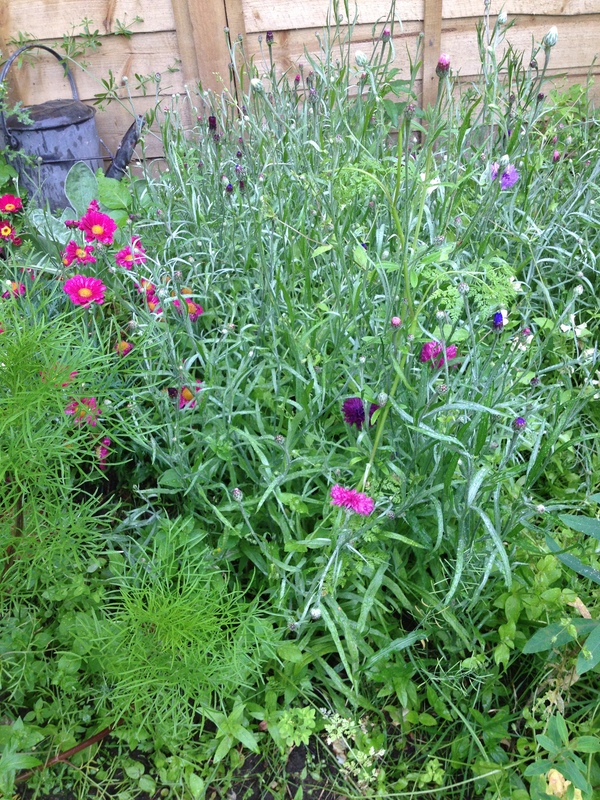 Now there are loads of cornflowers of different colours and a couple of other plants that are probably weeds or may be flowers on their way – I’m wary of pulling anything up in case it is going to be a flower. 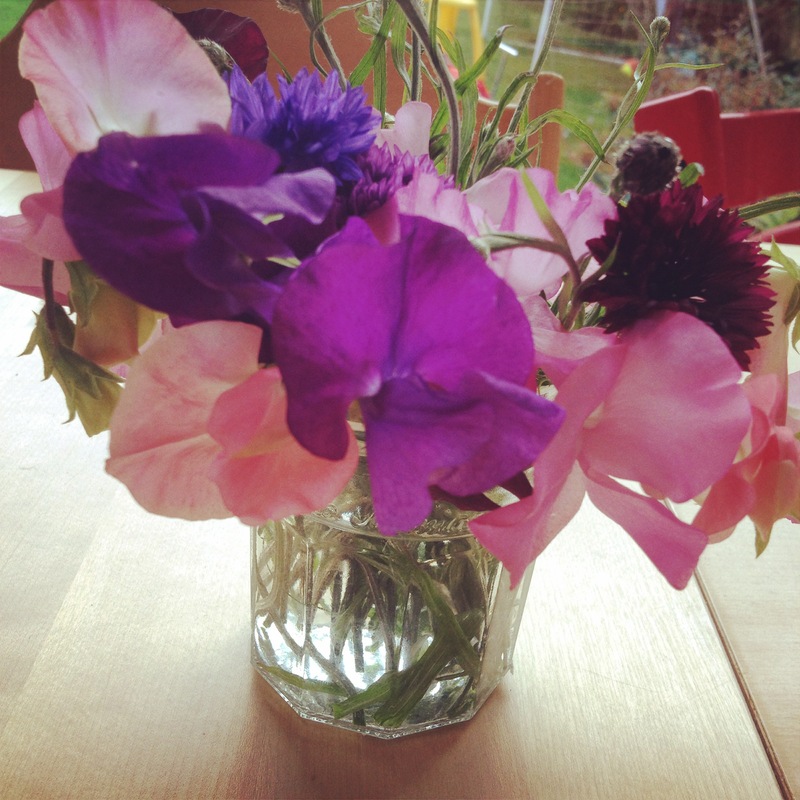 Yesterday I made my first actual posy using flowers from my flower patch, what a delight, it smelt amazing. The best part was being able to use it as a gift to a friend. 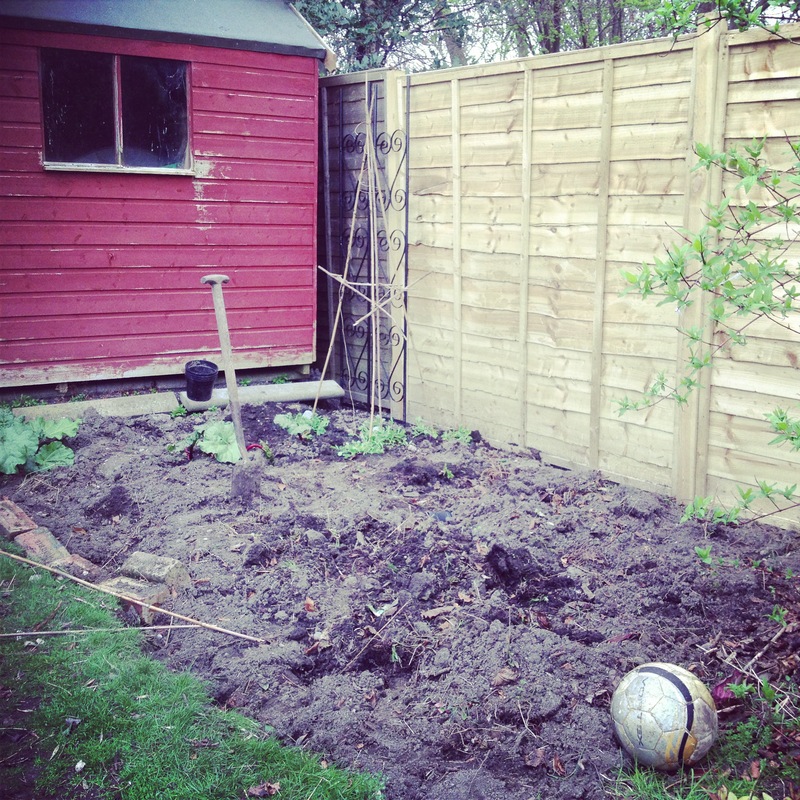 The garden needs a lot of work but I am already thinking about the next little flower patch and what flowers I will grow. The only produce that comes from our garden is rhubarb and apples which have been there for years. The rhubarb is amazing, just keeps on growing with no pampering at all. 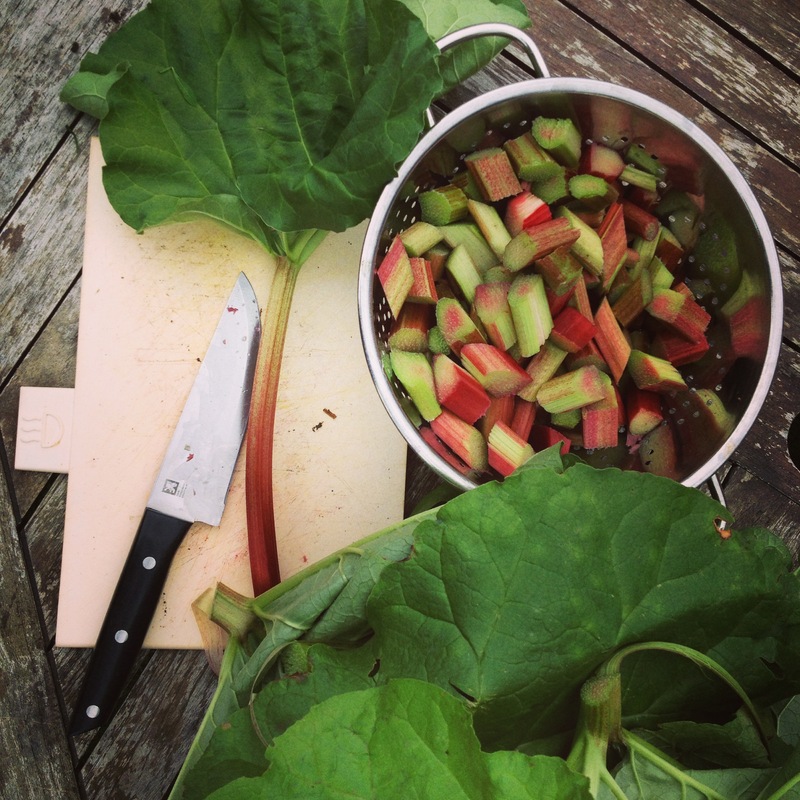 Did you know that farmed forced rhubarb grows so fast in the dark sheds that you can hear it! Amazing fact for the day – apparently it sounds like squeaking. First rhubarb harvested – made a splendid crumble. Well, that’s all for now, do have a look at my Pinterest pages – I’ve added loads, for some reason I cannot get the link to work but you can press the logo at the top right to go straight there. < Previous What’s with everyone running? Great to see you posting again! The posy is very pretty and I can imagine it smells lovely. Sadly my garden is somewhat lacking in flowers….